Lyndell Werling is a personal stylist who empowers women to create a signature style characterized by an appearance that stands out from the crowd. Many women over forty are highly concerned about their appearance. The thought of looking old causes significant stress. The challenge of remaining relevant style-wise, and age appropriate, results in anxiety. Finding time to prioritize wardrobe requirements can tax time constrained professionals, who are often juggling the pressures of motherhood and family demands. While Lyndell’s mission is to assist all professional, entrepreneurial women look extraordinary, differentiate themselves, and create a uniquely individual style, many of her clients are in their forties and fifties. Her clients include entrepreneurs, realtors, business professionals, and celebrities who recognize the importance of crafting a visual image that precisely represents their brand. National television programs such as Hallmark’s Home and Family and Megyn Kelly’s Today show, media publications, and all local San Diego news outlets have featured Lyndell’s styling work and clients. She is an adviser to Macy’s and Banana Republic providing product and pricing direction for upcoming seasons. Additionally, she was a featured stylist at 2016 Fashion Week San Diego and a Temecula Fashion Week judge. 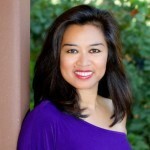 Lyndell publishes several blogs and is a La Costa Living magazine contributor. After a twenty year technology career, Lyndell traded her monitor for a mannequin. Prior to starting her styling career, she worked for software technology organizations including Oracle Corporation, SAP, and Fiserv. 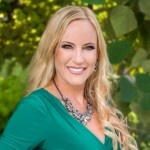 A graduate of the University of San Diego, with a Business Administration degree, and an MBA from the University of Southern California, provide Lyndell with the qualifications and experience to understand her clients’ businesses. She received her personal stylist certification from the Los Angeles School of Style. Attending additional courses through The Fashion Institute of Design Merchandising, Simply Stylist, and Style 20/20 Academy keeps her skills polished. She holds a real estate brokers license in California and Utah. She is a notary and former Emergency Medical Technician. Lyndell passionately supports many charitable organizations and spends significant time volunteering with the Leukemia & Lymphoma Society to eradicate blood cancer. She received the Esther C. Scott Dedicated Service Award for her 17 years of service to the Leukemia & Lymphoma Society. Lyndell has a deep understanding of the burden this disease inflicts on individuals who receive a blood cancer diagnosis. Her own journey of surviving melanoma, coupled with her experience working with blood cancer patients, enables her to specially focus on the needs of women fighting cancer; including hair loss and unique wardrobe considerations during and after treatment.